EAST TEXAS – Area cities and counties will soon receive their December sales tax revenue disbursements from the state. “The cities of Dallas, Fort Worth, Austin, El Paso and San Antonio continue to see significant increases in sales tax allocations. The cities of Houston, Sugar Land and Plano saw noticeable decreases in sales tax allocations,” Texas Comptroller Glenn Hegar stated in a press release dated Dec. 7. Hegar will send local sales tax allocations for December in the amount of $627.6 million to cities, counties, transit systems and special purpose taxing districts. According to the comptroller’s office, the allocations are up 0.2 percent when compared to December of 2015. “When anticipating revenues, the entire budget process is an educated guess. Houston County officials have historically been very conservative and realistic which has helped the county hold a recommended fund balance level, even while other entities were struggling and making cuts,” Mosley said. Texas cities will receive $408.1 million, up 0.2 percent when compared to Dec. 2015. Texas counties can anticipate sales tax allocations of $36.4 million, down 2.9 percent compared to last year’s numbers. In addition, Hegar will send $39.6 million to 248 special purpose taxing districts, up five percent when compared to last year. The ten transit system authorities in Texas will receive $143.5 million in sales tax allocations, down 0.3 percent compared to a year ago. 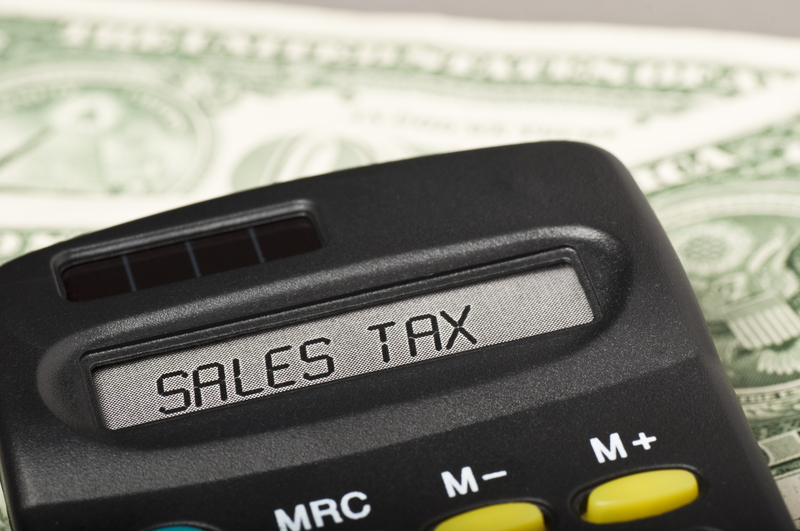 The sales tax allocations referenced above represent “… sales made in October by monthly filers,” according to the comptroller’s office. At the local level, Houston County showed a decrease in allocations for the eighth consecutive month. The county has a tax rate of 0.50 percent and will receive $83,304.32 – down from $95,251.66 received for the same tax period last year, indicative of a 12.54 percent downward move. So far this year, Houston County has received $158,047.46 compared to last year’s total of $1,243,982.82 for a modest decrease of 6.9 percent. The incorporated cities of Houston County showed mixed results with two of the five showing an increase in the allocation of sales tax payments. The City of Crockett, which has a 1.5 percent tax rate, will receive $135,473.49 in sales tax allocations. This is up from $127,853.78 received for the same tax period last year and reflects a 5.95 percent increase. Yearly total payments to date show Crockett has garnered $1,949,266.21 compared to last year’s total of $1,702,267.65 for a 14.5 percent increase. The City of Grapeland, which also has a 1.5 percent tax rate, will realize $15,175.53 in sales tax allocation payments. This is down from the $17,353.15 received for the same tax period last year and reflects a decline of 12.54 percent. Year to date figures, however, are indicative of an incline, going from $211,463.81 received last year at this time to $216,287.40 amassed so far this year, for a 2.28 percent up tick. The City of Kennard, which has a 1.0 percent tax rate, will acquire $1,800.59 in disbursements. This is up from the $1,547.45 taken in during the same tax period last year, indicating a 16.35 percent increase. Year to date figures are also showing an upward trend from $16,605.10 collected last year at this time to $25,001.95 received so far this year. This signifies a 50.56 percent increase in sales tax payments. The City of Latexo, which also has a 1.0 percent tax rate, will procure $2,104.61 in sales tax allocations. This represents a decrease from the $2,224.97 received for the same tax period last year and indicates a 5.4 percent decline. Year-to-date figures are also showing a decrease from $23,857.48 (2015) to $19,795.73 (2016), which marks a 17.02 percent decrease in allocations. The City of Lovelady, which has a 1.25 percent tax rate, will garner $2,804.21 in sales tax allocations. This is less than the $5,715.03 accrued for the same tax period last year and reflects a decrease of 50.93 percent. Year-to-date figures are also showing a decrease going from $74,049.73 (2015) to $72,997.26 (2016). This represents a regression of 1.42 percent. Anderson County, which has a 0.50 percent tax rate, will receive $181,998.96 in sales tax payments. This is a decrease from $ 207,532.61 received for the same reporting period last year and indicates a decline of 12.3 percent. Year to date numbers are also showing a downward move from $ 2,922,330.27 received last year at this time to $ 2,547,820.68 received so far this year. The decreased allocation represents a shrinkage of 12.81 percent. The City of Elkhart, which has a 1.25 percent tax rate, will receive $ 11,597.07 in sales tax allocations. This is down from the $11,656.51 received for the same tax period last year and represents a decrease of 0.5 percent. Year to date figures, however, are showing an increase from $141,293.16 (2015) to $166,540.69 (2016), reflective of a 17.86 percent rise in tax allocation payments. The City of Palestine, which has a 1.50 percent tax rate, will receive $402,471.67 in sales tax allocations. This is down from the $475,983 received for the same tax period last year and reflects a decline of 15.44 percent. Year-to-date figures are also showing a decrease from a total of $ 6,222,791.54 received last year at this time to $ 6,017,579.37 received so far this year, representative of a 3.29 percent drop.